I discovered the 52 lists project last week. Since I am a list junkie, I was so excited to participate in this project. It's a weekly prompt and the new prompt will be posted every Tuesday. 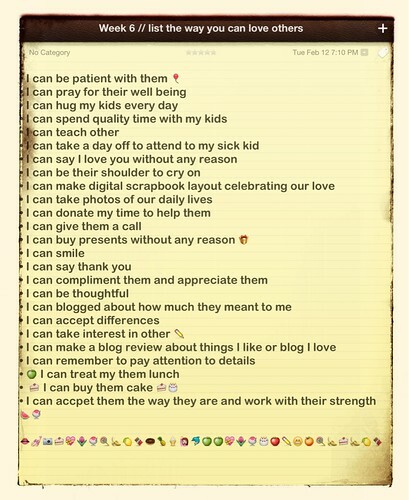 For this project I plan to write the lists using Awesome Note for ipad, screen captured the lists, cropped and add frame using Snapseed for ipad.